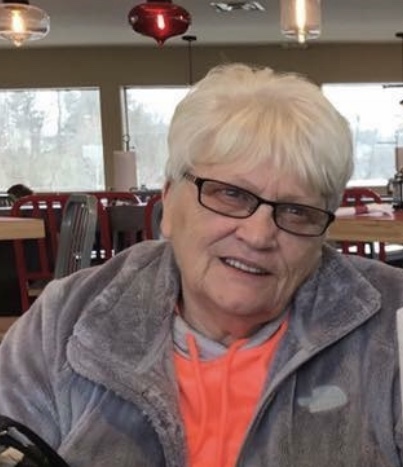 It is with a heavy heart that the family of life-long Crooksville resident, Diana Lynn Theisen, announce her passing in the evening hours of Saturday, January 19, 2019 at Fairfield Medical Center. Diane was born the only child of the late Elmer “Toe” and Buelah (Lemity) Ross on November 17, 1948. Diane was a bigger than life kind of lady. It is difficult to summarize such an infinite person with such finite words. She was always known for “running around” with her girlfriends and never missing a community event, any excuse to be around people. She thoroughly enjoyed meeting new folks as well--she was never one to have met a stranger. Her family and friends will forever miss her great smile, her love for carrying on a conversation and her love for life. After Diane’s son David was killed in the line of duty in a local housefire, she deeply mourned his passing and was forever changed by the event. As a result of her loss, Diane helped others who had endured tragic loss, always there to lend a friendly word, a shoulder to cry on or just simply an ear to listen. Diane was an amazing person, an outstanding mother, a caring grandmother and a trusting friend. Her absence from this world will be felt by all those who had the privilege to know her. Surviving Diane are her son and daughter-in-law, Rick and Kari Theisen; her grandchildren, Ross Theisen, Alli Theisen and Jailynn Welch and her truly special friends, Ray and Pat Guinsler, Cindy Knight, Vicki Brown, Linda Smith, Dian Kirkpatrick and Bonnie Dixon. Preceding her in death are her beloved husband, Paul E. Theisen who died, January 5, 2017, her darling son, David P. Theisen who died February 5, 1998 and her daughter-in-law, Tina Bobb-Theisen. Friends are invited to visit her family and celebrate her life from 2:00 PM-4:00 PM and 6:00 PM-8:00 PM, Tuesday, January 22, 2018 at the Goebel Funeral Home, 36 N. Buckeye St., Crooksville. Funeral services will be held, 12:00 PM, Wednesday, January 23 at the funeral home with Pastor Larry Penrod officiating. Diane will be laid to rest in Mt. Horeb Cemetery beside her husband, son, daughter-in-law and her parents. Memorial contributions may be made in Diane’s memory to the Perry County Animal Shelter. Envelopes will be made available at the funeral home.